When the George W. Bush Presidential Library and Museum (or “Bush 43,” as it is called colloquially) opened on the Southern Methodist University campus in Dallas, it made Texas home to not one, but three presidential libraries. The George W. Bush Presidential Library and Museum is at 2943 SMU Blvd. in Dallas. Call 214/346-1650. 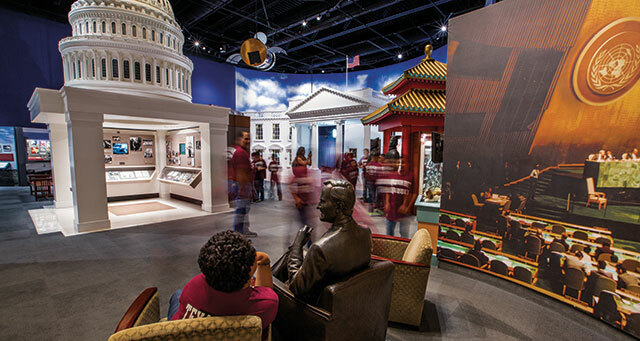 The George Bush Presidential Library and Museum is at 1000 George Bush Dr. West in College Station. Call 979/691-4000. The LBJ Presidential Library is at 2313 Red River St. in Austin. 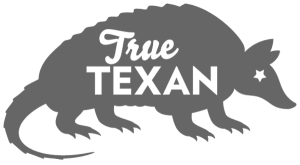 Call 512/721-0200. 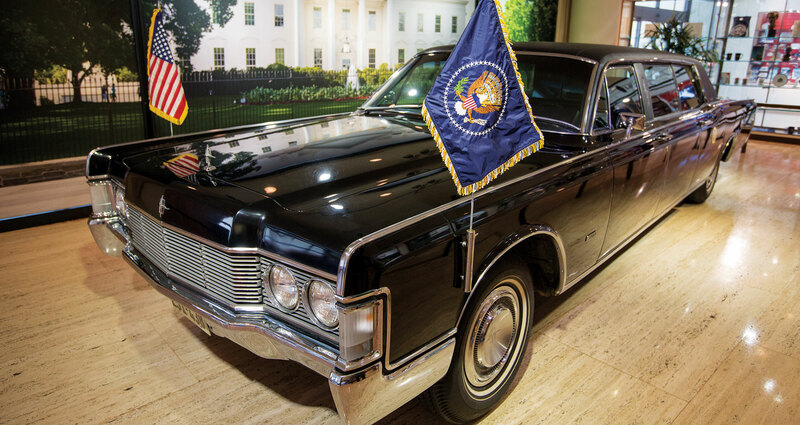 Odessa’s Presidential Museum and Leadership Library honors all presidents. Jane Wu explores the reimagined LBJ Lilbrary. The first, Austin’s LBJ Presidential Library, opened on The University of Texas campus in 1971 and has recently undergone a major renovation; the second, College Station’s George Bush Presidential Library and Museum, opened at Texas A&M University in 1997. And because these museums chronicle not just the presidencies but also American history during those decades, I realized that a tour of these three sites could illuminate the ribbon of history that ties together most of my life. As a weekend road trip sort of planned itself, I set aside any partisan agenda and set off on a presidential adventure that took me for some surprising personal turns along the way. My voting record or political allegiance didn’t matter. Neither did traveling in reverse chronological order. I allowed most of an afternoon to wander through Dallas’ Bush 43 museum, a low-rise limestone building set in the middle of a wildflower meadow on the edge of the SMU campus, starting with lunch in the cheery Café 43. The presence of First Lady Laura Bush’s famous cowboy cookies (oatmeal cookies loaded with chocolate chunks and pecans) on the dessert menu gave me a hint of things to come: There would be personal vignettes from the whole Bush family entwined with the exhibits. Past the cases of extravagant gifts from foreign heads-of-state—a gold-filigreed clutch purse from the King of Morocco, white gold/diamond/tanzanite earrings and necklace from Tanzania, gleaming Russian samovars—an orientation video runs in the museum’s formal entrance hall. Images of American landscapes and people, including portraits of all 44 U.S. presidents, flash by, setting up the strong theme of patriotism. I recall that as we emerged from the numbness of that tragedy, the president traveled to New York again, to console, reassure, and unite by throwing out the first pitch of the 2001 World Series. And, sure enough, right in front of me are the ball and pitching rubber from Game 1 at Yankee Stadium. Before entering politics, George W. Bush was part owner of the Texas Rangers, so plenty of his baseball treasures are displayed, including a Cooperstown bat signed by Phil Niekro, Juan Marichal, Duke Snider, Orlando Cepeda, Tony Perez, and other National Baseball Hall of Famers; and balls signed by such players as Mickey Mantle, Joe DiMaggio, Ted Williams, Whitey Ford, Buck O’Neil, and Sandy Koufax. Speaking of signatures, this president used Sharpie pens for annotating and signing official papers. A tray on his desk in the replicated Oval Office holds handfuls of Sharpies. The museum, to my surprise, invites visitors to sit at that desk or on any furniture in the office. I’m more interested in the art on the walls and books on the shelves, which were the president’s personal choices. Bush 43’s selections include portraits of George Washington and Abraham Lincoln, a small bust of Dwight Eisenhower, Frederic Remington’s The Bronco Buster sculpture, a leather-bound set of The Works of Theodore Roosevelt, written works of Benjamin Franklin, the journals of Lewis and Clark, and, on a table behind the desk, the Bible. What did his father, Bush 41, surround himself with in that same Oval Office, I wonder, as I drive south on I-35 toward the Waco turn-off to College Station. For his library and archives, the senior Bush chose a sprawling 90-acre site on the Texas A&M campus, which now also includes the Bush School of Government and Public Service, a conference center, and a plaza with a sculpture of horses leaping over remnants of the Berlin Wall. In 1947, after serving in the U.S. Navy during World War II and graduating from Yale with a degree in economics, George H. W. Bush transplanted himself and his young family from the northeastern United States to Odessa. “This West Texas is a fabulous place,” he wrote in a 1949 letter to a friend. Bush had been first baseman and team captain at Yale, and one possession that traveled with him all the way to the Oval Office was his first baseman’s mitt. During my tour of the Bush 41 museum, I open a drawer on the left-hand side of the president’s desk and see it, beaten up and weathered, but still recognizable. At the dedication of this library in 1997, he paraphrased another first baseman, Yankee Lou Gehrig, saying, “I am the luckiest man in the world.” The elder Bush’s personal Oval Office library includes works by Teddy Roosevelt and Abraham Lincoln; a small sculpture of Teddy Roosevelt on horseback, and the same Remington Bronco Buster sculpture that later graced his son’s office. Family photos—in plain plastic frames—fill the table behind his desk. Poignantly, alone on his desk, sits a picture of Robin Bush, the three-year-old daughter he and Barbara lost to leukemia in 1953. He cultivated a wide circle of friends: Visitors can listen to an ad-libbed phone conversation between the president and Saturday Night Live comedian Dana Carvey, who was famous for his presidential impersonations. In a replica of the Camp David office, a place seldom glimpsed by the public, the president’s voice narrates a tour, pointing out a stash of dog treats and a photograph of himself playing tennis with champion Chris Evert. His daughter Dorothy’s wedding took place here; but so did quiet negotiations with foreign leaders. Amid reminders of momentous world events—George and Barbara Bush’s notes from Chinese language lessons they took when he served as chief of the Liaison Office (and then Ambassador) in China; his scribbled notes aboard the unscheduled flight from Austin back to Washington, D.C., after a would-be assassin shot President Ronald Reagan in 1981—I peel back layers of my own memory. And I quickly measure how far we have come—and how fast—by advances in electronics. The miniature cameras, hand sensors, and other spy tools from the mid-1970s, when Bush served as CIA director, seem colossal by today’s standards, and the Camp David desk computer looks downright clunky, certainly impossible for one person to carry. What, then, was life like way back in the Lyndon Johnson White House? On the scenic drive from College Station to Austin, I start to recall: the Cold War threat of the Soviet Union, the inescapable roil of social change, and a deep-in-the-bone Texas politician suddenly, in crushing anguish, made leader of the free world. The LBJ Presidential Library, a stark 10-story monolith thrusting above campus greenery, has plenty of lively pop culture artifacts to shed light on the era. I hum along with the Doublemint gum jingle and tunes from West Side Story. Fun! But more fun, for me anyway, is listening to telephone conversations that the president had with friends, enemies, and especially, First Lady Lady Bird Johnson. From their marriage in 1934 and through his lengthy political career, he relied on her judgment, opinions, and wisdom. In one call, she offers him advice on delivering a speech in a 1964 press conference: “Read it with more conviction and change of pace. …” Visitors can hear him discuss foreign policy with Richard Nixon and civil rights with Dr. Martin Luther King Jr., and sweet-talk Washington Post publisher Katharine Graham. LBJ served during the tumultuous ’60s—the years of Civil Rights, Voting Rights, the Great Society, the Vietnam War, and the space race. An exhibit about the Voting Rights Act of 1965, complete with the desk used for signing, traces how that bill became law through a dateline, memos, phone calls, news articles, and Congressional addresses (our American process for passing any bill into law). The National Endowment for the Arts, car seatbelts, the Head Start program, Frisbees, Julia Child’s Mastering The Art of French Cooking, and Trix cereal’s silly rabbit were new around then, too—as illustrated by artifacts displayed in the Great Society room. The president—and all the rest of us—kept up with fads, student demonstrations, war reports, and everything else on the fast-changing globe with only three television networks. You can step into a replica of LBJ’s Oval Office to see the evidence—three television sets (one each for NBC, ABC, and CBS); plus two tickers for news feeds from United Press International and Associated Press. As for history important to LBJ, I see that he chose bound public papers of Kennedy and Eisenhower, writings by Washington, and the Bible for bookshelves; plus portraits of Washington and Franklin Roosevelt for the walls. It has been an intensive learning experience seeing snapshots of presidential lives and achievements, and reliving momentous national ups-and-downs. Leaving the LBJ museum, I pause in the Great Hall and glance up at four glass-enclosed floors stacked with red archival boxes, a vivid reminder that museum displays tell only some of the story. All presidential libraries hold the official documents of the respective administrations, resources overseen by the National Archives and Records Administration—which scholars, researchers, and historians can access. As presidential archives continue to be examined and studied, they’ll help future generations understand the leaders Americans have chosen over the decades and the world events in which we all play a role.